Our group was surprisingly small - just three of us. The tour was well-paced and informative, our guide Mr Nyugen was especially alert and attentive. The stops were well-timed and refreshments were generous. 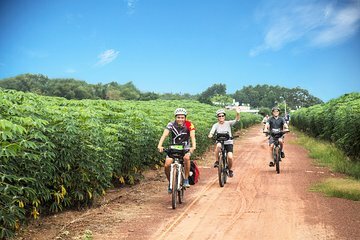 We could not had asked for a better tour to experience the beautiful countryside of Ho Chi Minh, will highly recommend this tour for anyone handy on a bike.